The adjustment of the college football recruiting calendar to include an Early Signing Period is still an adjustment, but the Florida Gators salvaged a once-crumbling class by adding a pair of top prospects and making a simple statement on Wednesday. That statement? Florida should once again be considered a legitimate threat to recruit — and swipe away — some of the nation’s top prospects. That’s what new head coach Dan Mullen proved at the start of the 2018 National Signing Day. Let’s take a look at what transpired on Wednesday and what it means for the Gators. Despite his previously significant recruiting issues, Jim McElwain was on his way to building a potential top-five class this cycle. But his departure, coupled with a variety of different needs and evaluations by Mullen, led Florida’s class to slowly crumble as the signing period approached. Some players decommitted either due to scheme fit or lack of staff familiarity; others did so because they were kindly told that better opportunities existed for them elsewhere. With all said and done (for now), the Gators stand with the nation’s 14th-ranked class, No. 4 overall in the SEC only behind Georgia, Alabama and Auburn. Considreing the Bulldogs are in contention to be the nation’s top class and already have six (yes, six) five-star prospects in the fold — and the Tide have had the top-ranked class each cycle seemingly forever — UF should be thrilled with its standing. Florida would not be in this position if Mullen and Co. did not take care of business on Wednesday. UF flipped four-star quarterback Emory Jones (Franklin, GA) from Ohio State and beat out Florida State for his services, making a national statement in doing so. It then added a pledge from four-star safety Trey Dean (Hampton, GA) to respectively take the No. 40 and No. 250 players in the nation out of the Peach State. 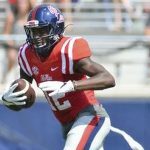 Adding in Ole Miss transfer wide receiver Van Jefferson, No. 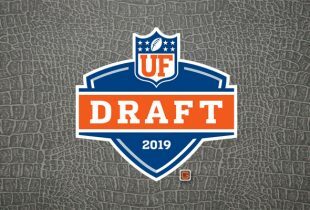 1 overall kicker Evan McPherson (Fort Payne, AL), three-star DB John Huggins (Daytona Beach, FL), three-star offensive lineman Chris Bleich (Plymouth, PA) and three-star junior college OL Noah Banks (Council Bluffs, IA) — all players who committed over the last two weeks — the Gators signed seven new players since Mullen was hired 24 days ago. There is still plenty of work to do for Florida, primarily at wide receiver, defensive line and linebacker, though needs remain on the offensive line and in the secondary as well. The Gators will be unable to recruit until January during the so-called “dead period” — no face-to-face meetings, only calls, texts and DMs — which can be a lull for some teams but actually works towards UF’s benefit this year as it gets an opportunity to rehash its recruiting board. Mullen does not have his full staff in tow just yet, and between celebrating the holiday season, he will have an opportunity to plot a course for filling vacant spots and recruiting so Florida can hit the trail hard and make the most of its opportunities. 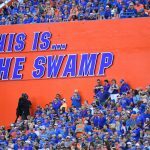 There are a vast array of prospects that the Gators will target — and candidly, it’s tough to have a handle on all of them without being fully invested in the recruiting process (hard to do following a coaching search and with basketball season in full swing) — but here are the names you absolutely need to know. » Five-star DB Patrick Surtain Jr. (Fort Lauderdale, FL): Yes, he’s the son of the NFL star. The No. 5 overall player in the nation is expected to head to LSU, but Florida has always been in the hunt for his services (as has Florida State). » Five-star OL Nicholas Petit-Frere (Tampa, FL): There are few who have an inkling of where Petit-Frere is headed, but even during the upheaval in Gainesville, Florida has appeared to be a legitimate option for the nation’s 17th-ranked prospect. » Five-star DB Tyson Campbell (Fort Lauderdale, FL): Teammates with Surtain, he is expected to ultimately pick Miami, but there’s a ways to go until that is official. The No. 26 overall player in the nation, Campell would be a similarly big addition. » Four-star WR Jacob Copeland (Pensacola, FL): A former Gators commit, Copeland was one of two top-flight wideouts to jump ship when McElwain left. He made it clear that Florida was still in contention for his services, and though Alabama is pressing, UF should have a legitimate chance to win him back. » Four-star DE Andrew Chatfield (Fort Lauderdale, FL): The No. 210 player in the nation, Chatfield has long been deciding between Florida and Miami. He was closer with the Gators’ former staff and the new one will have a long way to go to to win him over. » Trinity Jones, Emory’s mother, told Florida quarterbacks coach Brian Johnson on Tuesday that there would be “good news,” and Emory Jones himself tweeted Johnson at 1:47 a.m. “Can’t wait for this” with a crocodile emoji, according to Yahoo Sports’ Pete Thamel. How do you grade this class given the coaching change? Do you think Mullen will finally bring the #1 jersey back? It had meaning under Meyer. Yes, absolutely. Though perhaps more likely on defense to start. Are there any other potential early signings on our board? No, the Gators are done with “signings” until early February. How many more signees can we add in the spring period? That depends on remaining attrition (NFL Draft declarations and transfers). There are 13 signed and two verbally committed at this time. I’d assume anywhere around 8-10 more 2018 prospects will be in the class in the end. Mullen mentioned maybe 1 more QB Dual, who ? Besides Copeland, who are top WR targets left ?? Any word yet on possible scholarship get backs from the Dreadful 9 ? Some players decommitted either due to scheme fit or lack of staff familiarity; others did so because they were kindly told that better opportunities existed for them elsewhere.